Some species from this genus are native to the northern hemisphere, and so they can resist water temperatures down to 15°C. 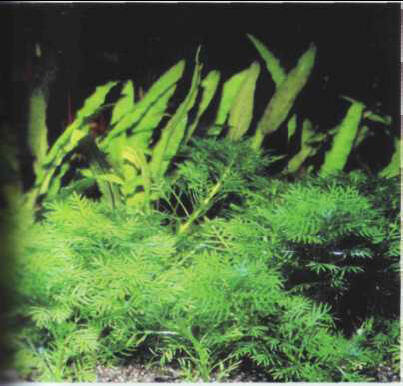 A totally aquatic plant with finely serrated leaves, the featherfoil likes soft, acid water. Adventitious roots on the knots of the stem make it easy to take cuttings. It is highly attractive when planted in groups. Size: 20-30 cm. КАНЯВА (Kaniava) Эдуардас (р . 1937), литовский певец (баритон), народный артист СССР (1979). С 1958 солист Литовского театра оперы и балета (с 1990 - Литовской оперы).